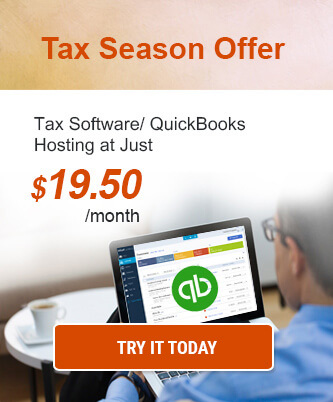 Sage 50, formerly called as Peachtree, is an easy to use accounting software for small and medium businesses. Not only the software manages the cash flow, banking, and invoices, but also keeps track of profits and expenses. Sage 50, when hosted on the cloud, can offer numerous benefits for SMBs to keep their firms running smoothly. With increasing competition, the need to stay updated and on top of all the processes is more than a necessity. Cloud technology can enable anytime access feature over any device. Sage 50 cloud hosting helps you access all the essential files and financial data from anywhere and anytime. All you need is an internet connection. It is also beneficial for businesses or employees spread in different geographies, as cloud helps them provide centralized access. Sage hosting on cloud helps you run businesses efficiently by being able to check your business’ performance instantly. Cloud also allows you to export data via Pdf or Excel files without losing any functionality. Cloud hosting of Sage 50 allows secure and an efficient generation of all the reports making tasks more manageable. You can also check the balance sheet and P&L (Profit and Loss) in real-time. When you are hosting Sage 50 on the cloud, the service provider takes automatic backup without additional charge. Regular backup of data ensures maximum data redundancy and security. In the event of any disaster or system crash, your financial data remains secure and untouched. 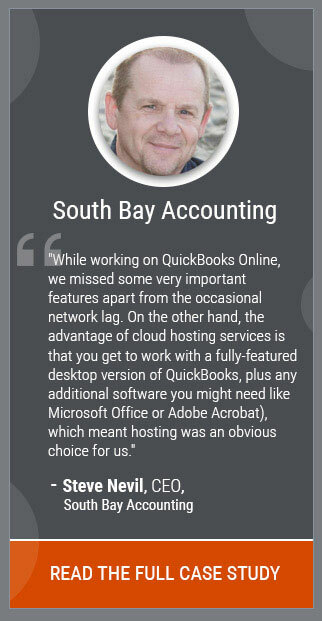 With Sage 50 in the cloud, you get all-time customer support. The service provider already has a team of experienced people who would help you with backups, upgrades or any other issues. Cloud hosting of Sage 50 software makes sure that you need not shell out a lot on your IT infrastructure. As the application is on the remote servers, all the security issues are taken care of by the service provider. In a traditional system, if any disaster occurs or system crashes, you may lose important files or data. However, cloud hosting ensures least downtime issues. For small firms, getting more out of existing servers is a huge benefit. Sage 50 cloud hosting is more reliable and consistent than a traditional system. Most cloud providers provide SLA which ensures 99.99% availability. Companies can benefit from a large pool of redundant resources, and quick failover approach – in case of server failure, cloud applications can be smoothly transited to other available servers. 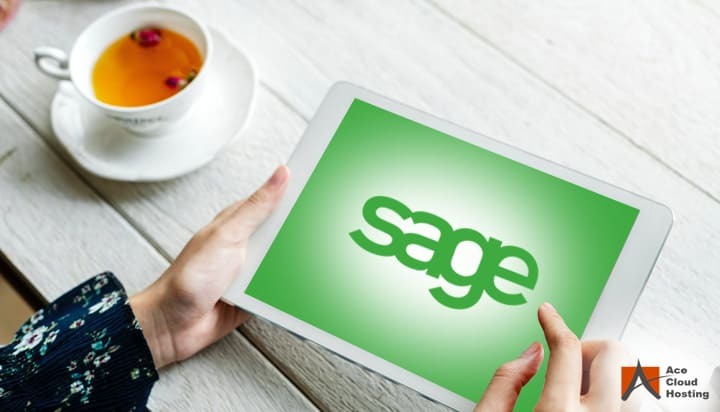 When Sage 50 is hosted on the cloud, you need not worry about software updates and upgrades. The service provider takes care of that without any additional charge. It is particularly crucial for small firms as they have to allocate funds separately for upgraded software each year. If you have an outsourced employee or an accountant, hosting of Sage 50 makes collaboration much more comfortable. You can work on client account and easily share files with the client even they are working on the system. Not only cloud hosting of Sage software eliminates the need to copy files but also makes it easier for the outsourced team to work closely. For any business, financial data is one of the most important data as it contains the heart and soul of the company. Any kind of security breach or theft can prove to be disastrous. Most companies think that their in-house systems are safe to store their financial data. But that’s not true. When Sage 50 is hosted on cloud, the provider offers bank-level security with many safety layers implemented on them, making it a safer option. Hosted Sage 50 software is flexible to perform functions that your business needs for the number of users you have, making it an ideal choice for businesses who want to have control as well as clarity of their expenses.